Get your ducks in a row! This strip quilt is fun and easy to make! Finished quilt is 36" x 45". 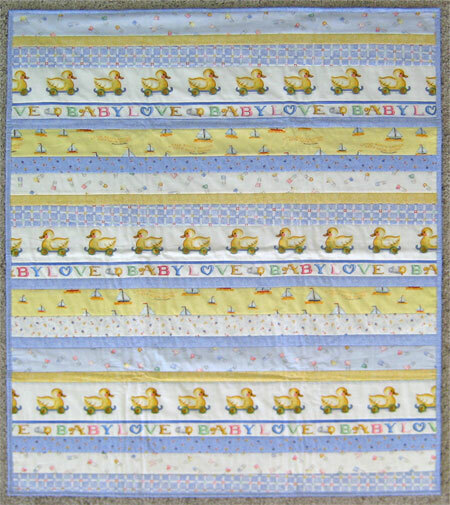 Shown here using Susan's "Baby Love" fabrics.